Apple’s Mac lineup has always been marketed towards professionals. MacOS seems to be designed with productivity enthusiasts in mind. If that fits your description, then you probably deal with large file sizes all day, and you’ve probably run into storage issues many times. That’s where external drives come into play. Most people are probably familiar with these. They connect just like your regular old USB flash drives, but they have way more storage capacity. Obviously, external drives are a much more convenient solution to expanding storage than swapping out your internal drive or adding in another one. There’s also the convenience of backing up your storage and taking it with you. So, if you’re looking for an external drive for your own Mac device, you’ve come to the right place. We’ll be going over a few different products so you can make the decision based on your own needs. It shouldn’t be much of a surprise seeing Western Digital on this list. The people behind the most popular brand of internal hard drives have now come up an external solution. As with anything from WD, you can count on decent speeds, a reasonable price and most importantly, reliability. 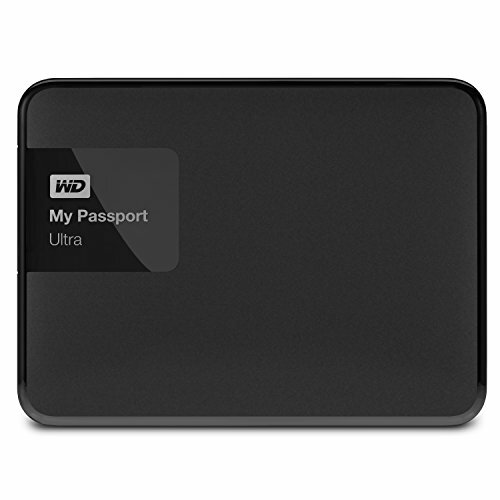 The WD My Passport promises a portable design, good speeds, and a few other nifty features. Western Digital isn’t a name you’d associate with a stylish look. Well, this external drive might change your mind. It comes in a wide variety of colors, black, blue, white and a “berry” color. It’s shaped like a small rectangle and it’s pretty easy to carry around. The surface itself though is a bit slippery to hold on to. If you don’t want it slipping around in your bag all the time, then choose from the dozens of carrying cases available for it. Apart from that, the speeds are very reasonable. This drive isn’t supposed to be the fastest external solution for your Macbook. That’s why it uses USB 3.0 which every laptop mostly has. It’s supposed to be an everyday driver that you can connect to a variety of devices with ease. With that said, the speeds are quite reasonable for everyday use. It’s not gonna be replacing an SSD anytime soon, but it more than gets the job done. Other useful features are present such as 256bit AES hardware encryption which keeps your files secure. Another helpful feature here is the automatic cloud backup services. You can automatically backup your files to Dropbox or local storage. Although we must say the backup software itself is very basic. 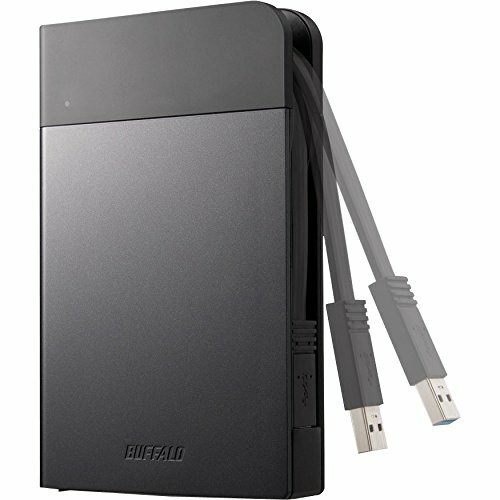 All in all, this is the best external hard drive for any person. It’s affordable, easy to carry and has decent speeds for the price. An easy pick for the top spot. 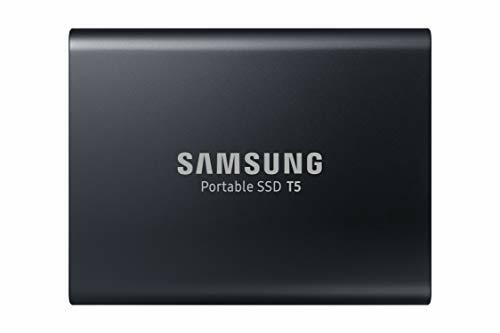 If you are someone who can really utilize the faster speeds of an external SSD drive, the Samsung T5 is the best one out there. Not only is this one of the fastest drives out there, but it’s also arguably the most portable one at that. The T5 has a tiny footprint and is easily pocketable. To top it all off, it has a USB Type-C to Type-C connection, so you can plug it in without hassle. It also comes with a Type-C to Type-A port. It’s compatible with not just MacBooks, but a wide variety of other devices. One of the best things about the Samsung T5 portable SSD is the absolutely tiny footprint. The small rectangular shaped drive is pretty easy to carry around. It’s so lightweight and it won’t really be noticeable in your bag or pocket. That doesn’t mean this tiny storage device skimps out on capacity. It comes in a lot of different variants ranging from 250GB to 2TB. This tiny powerhouse doesn’t skimp out on data transfer speeds either. It’s the perfect fit for people who need really fast storage in an external drive and also move about a lot. Using a USB 3.1 connection, the T5 can keep up with any internal SATA based SSD delivering almost the same speeds. The read speeds are well above 500Mb/s and write speeds hover around 400Mb/s. This is nothing short of impressive from an external drive, that too in this tiny form factor. In conclusion, if you are a professional who needs fast flash storage on the go. It doesn’t get much better than the Samsung T5 SSD. The only real complaint we have is that it can seem a little bit expensive for the average user. Ultimately, if you can benefit from the fast speeds, we definitely recommend it. If you are always on the move, you probably don’t have time to properly organize the stuff you carry around. This often leads to people just throwing all of their devices in a bag and carrying it with them all day. If this fits your description, you don’t want to damage your external drive which has all of your data. This is why you might want to invest in a Rugged drive designed to withstand some punishment. The LaCie Rugged Mini is the best one at that. It’s nothing really to be ashamed of. A lot of us don’t treat our devices the way we should. If you don’t have the time to worry about damaging your external drive all the time, then get the Rugged Mini. The name perfectly describes the product itself. The drive is covered by a thick orange rubber coating which protects it from drops. The drive is shock absorbent, water, and dust resistant. It isn’t that much of a pain to carry around either. Sure, it’s a bit bigger than the most portable drives, but you’d be hard pressed to find a rugged one smaller than this. It’s easy enough to carry so you can throw it in your bag without worry. 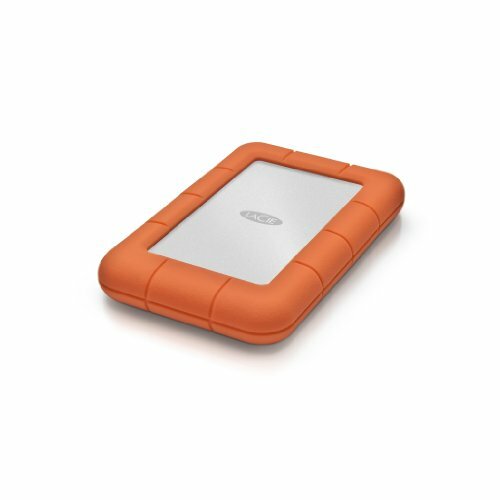 The LaCie Rugged Mini seems to be the perfect drive for a lot of people. It’s easy enough to carry, has high capacity storage at a cheap price, and can take a lot of damage. Sadly, it’s just not good enough for power users. The drive sports a painfully slow 5400Rpm HDD which makes things such as video transfers/edits painfully slow. We wouldn’t recommend this one to a power user but for a lot of people, this might be a great affordable and rugged option. The Ministation Extreme NFC external drive main highlight here is the security. If you often leave your laptop lying around with an external drive, anyone can pick it up and access it. The Ministation Extreme NFC looks to solve that issue with a lot of security options. Even if you don’t care about security all that much, it’s still a great drive that works with a ton of MacBooks. If security is your top concern, the Ministation Extreme should wipe away most of your fears. First off, it comes with the usual data encryption features so you can add a password to all your folders. Secondly, in order to access the drive itself, you can use an NFC enabled device such as your phone. You can encrypt most of your files and they are convenient to access just by tapping the drive with your phone. The Ministation Extreme is a bit bigger than it’s competitors. But that’s because it comes with a built-in USB 3.0 cable so you don’t lose it. There is also military spec ruggedization here. Which basically means it sports dust and water resistance along with shock resistance. Although the drive is appealing for users with security concerns, it’s a bit sluggish at times because of the mechanical HDD inside. Sure, it keeps up with most hard drives but put an SSD by its side and it will surely feel really slow. But if security matters more than actual performance, this is an amazing drive for the money. This is a brand you might not have heard of before. But as it turns out, this might be the best portable hard drive made with Mac features in mind. It sports a Thunderbolt 3 connection and USB 3.0 so it works flawlessly with most newer Macs. It also comes in a few different colors. 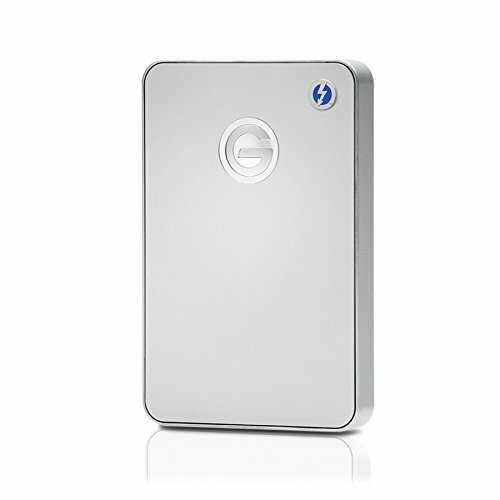 The G-Drive might look like your regular external hard drive at first glance. But this really is made with macOS in mind. Even the design itself is sleek and minimal with an Apple-like silver finish along the top. The drive definitely has a premium feel to it with all metal design. It’s also easy enough to carry around. But what makes this great for Mac owners is the Thunderbolt 3 connection and Backup support. Since a lot of the new Macbooks really only utilize a USB-C connection (a few with Thunderbolt 3) this should be a perfect fit. No more worrying about dongles or other cables. The other added feature here is Time-machine support. Time-machine is Apple’s own backup software which can easily write data to an external drive. Apart from that, the speeds are decent enough for backing up data and other everyday tasks. Since it’s a mechanical hard drive it’s not as fast as an SSD. But the added benefits it adds for new Mac owners is definitely a huge plus. Those added features might make this slightly overpriced drive seem worth it.